Speedy-Repo is one of a few nationwide repossession companies licensed and insured to handle private party repossessions. Speedy Repo routinely handles repossessions between family members, divorce disputes, and terminated employees. A private party repossessions is any repossession that occurs without a loan agreement, or a lease agreement, or any repossession falling outside of the standard debtor, bank relationship. 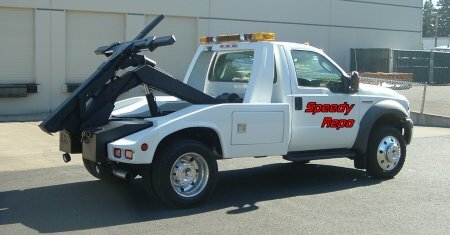 If other repossession companies have told you that they won’t handle your case, please give Speedy Repo a call, we will Repossess it for you! Speedy-Repo is a nationwide repossession company specializing in fast service. Once you decide that your collateral needs to be repossessed, you want a repossessor that is going to act quickly. Speedy Repo will act quickly, and professionally to repossess your collateral wherever it may be. Speedy-Repo is a repossession company with fast repossession service as our goal. We use computer dispatched, digitally equipped repossession trucks enables us to minimize the time between faxing us an order and putting your collateral on our repossession lot. Faster repossession service, is our commitment to all of our customers.